William Butler Yeats was born on June 13, 1865. To celebrate the 153rd anniversary of his birth, Wayne K. Chapman reminisces on years of studying Yeats’s works. 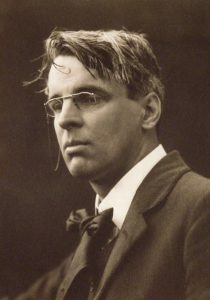 I began seriously reading and writing about William Butler Yeats in school in the 1970s. My master’s thesis on Yeats and Ben Jonson was the price of my admission to doctoral studies in 1981 although, at the time, I was only more committed to specializing in writers of the Irish Literary Renaissance than to those of the English Elizabethan and Jacobean periods. I had steeped myself in Joyce but my immersion in Yeats’s poetry, plays, prose fiction, and non-fiction began to feel the better fit. It felt as though I was able to channel the man, supposing that the more unpleasant side of his politics in the 1930s provided enough distance between us to assure fairness because there was so much more to admire. Experiences, too, tilted my interest toward Yeats. A long European adventure with my wife brought us to Thoor Ballylee during a singing competition in the village—“FÁILTE go GORT INSÉ GUAIRE!” Hitching a ride to the castle with a local who had known the Yeats children when but a schoolboy communicated an inside tip from Yeats’s son, Michael Yeats: that the trouble with the poet was that he was interested in kings, not people. At the castle, an elderly matron giggled at the remarks of our impromptu guide, who left us in her care to explore several floors of the tower. For a ride back to the village and a noisy night in the pub below our room, we stood at roadside and observed something cruel in the landscape of marsh and stone, dour little farms with tumble-down cottages—something that doesn’t rest but turns over in the earth. As we passed a low broken wall, a dead cat hung, mid-leap, in a thorny bush. A few years later, our two-year-old daughter stood on a table in Berlin and recited “The Lake Isle of Innisfree” that she had by heart after running through it with me only three or four times. A few weeks later, I was in my first exhilarating summer mining materials in the Yeats archives at the National Library of Ireland, caught up in the whirl of an alchemical process, one that would deliver my first book, Yeats and English Renaissance Literature (1991), and a twenty-five-year career teaching literature at Clemson University. That book led to seven others on Yeats, none quite so inspired until I began writing chapters and commentary for the latest book, W. B. Yeats’s Robartes-Aherne Writings (2018), out of growing affection for the subject. Nothing has surpassed the inspiration of Yeats’s stories, poems, notes, and “extracts” from the supposed “Robartes MSS,” including unpublished dialogues and ephemera. My favorite version of Yeats the man and his masks emerges from the creative history of Michael Robartes and his friends—the stuff of fables and tall tales. Another example, told to me by Anne Yeats after I’d related to her a snapshot that I’d seen of her father in convalescence, involves the obverse of black Minnaloushe in the poem “The Cat and the Moon.” In Rapallo, she said, the white cat that I’d seen stretched out on Yeats’s chest was the family pet. “He used to love to sleep with Father on his bed, having had a succession of owners who were invalids, preferring an indolent life. As Father got better, the cat got suicidal and jumped out of windows until he was given to a blind sculptor.” The cat was saved, the sculptor made happy with the cat, and Yeats delighted with a tale to be told in his family for two or three generations. Wayne K. Chapman is Professor Emeritus of English at Clemson University, USA and formerly Executive Editor of Clemson University Press. 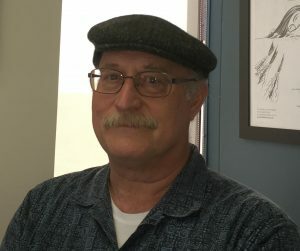 He is Editor Emeritus of the South Carolina Review and the author of several books, including Yeats’s Poetry in the Making (2010). He is the editor of W.B. Yeats’s Robartes-Aherne Writings, now available in Bloomsbury’s Modernist Archives series.